Slimtone is very much part of the local community in the Bridgend area. 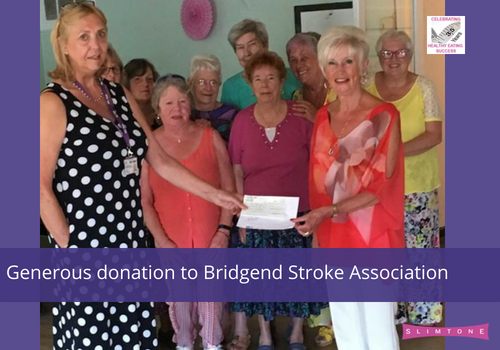 At the end of June, Marie thanked Slimtone members for their generosity in donating £1040 to Bridgend Stroke Association. Members presented a cheque for this amount to Karyl Cater when she visited a Slimtone class. This means that Slimtone has donated over £53,000 to local charities to help in our communities. A tremendous achievement!